Games wherein players pepper one another with lead motivation may still be all the rage these days, but the physics that go into handling guns are rarely authentic. A precious few games put an emphasis on making your shots count, with the majority of titles released these days making full use of “pay ‘n spray” action. That’s all well and good for certain, fantastical games. But for the grittier return of Rainbow Six, you can expect guns to actually behave like they would in real life. 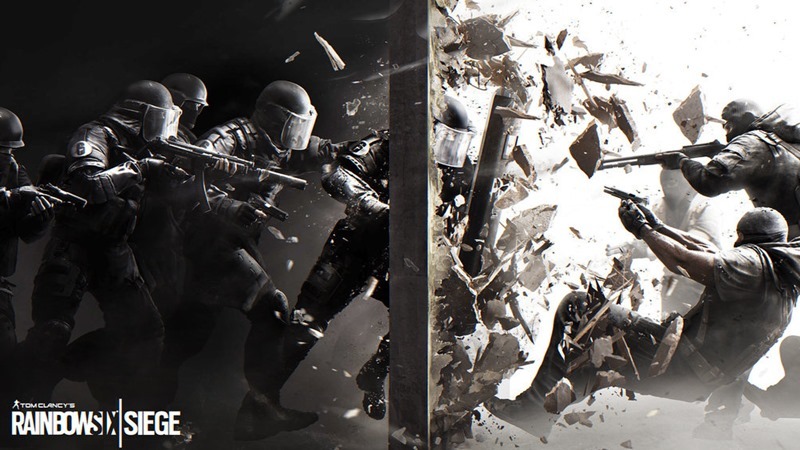 “Our bullets will be originating from the center of our screen,” Gameplay Programmer Adam Crawley explained in a Rainbow Six community corner video, as he detailed the camera focus and trajectory of weapons in Rainbow Six: Siege. We want to make sure that when the player’s aiming at something that the bullets will actually go to exactly where it looks like they should go. This all ties into the design of the guns, which will offer a more realistic amount of recoil than you’ll find in your standard shooter, with Crawley revealing that the system had been reworked since debuted last year. “At E3, we had a very simple recoil system,” Crawley said. The gun would sort of move up and down and left and right very randomly and constantly readjusting around this one center point. Whereas now we have a much more additive system, so the gun will continue to rise over time, assuming you don’t control it, it will just keep going up, or up into the right, depending on the gun. Yes so the gun and the camera will readjust after each shot, and the gun actually is no longer locked to the camera like it used to be. We actually have the camera moving up and sort of going with the gun, but then the gun also offsets from the center of the screen and our bullets will actually go to exactly where the gun is aiming. Yes, each gun has sort of a diamond that is configurable by our designers, which defines where the gun will go after each shot the player takes. Every single time the player shoots, we choose a point randomly within that diamond and then that diamond is adjusted based on where the shot ends up. It actually changes over time, the diamond will grow over time so that you can get more intense recoil at the end of a magazine. We want to have our guns be challenging to use, but also learnable and controllable. I’ll be honest, that sounds kind of rad. If you’ve ever been to a gun range, you know full well how different guns are in real life when compared to their video game counterparts. Something that my weak wrists and broken nose can easily spin a tale or two about. Having a touch of proper realism, also gives the game an edge when you’re shooting it out with your opposition, as that means making the first shot count, instead of activating John Woo mode and throwing pigeons everywhere.